 On Oct. 13, 2016, Bob Dylan was named a Nobel Laureate and Lit's Big Tent got even bigger. Then, lo and behold, there she was. I seized the day. On my second Sunday, and last full day, in Stockholm, the Volvo hoods outside the Mornington were covered with snow and the streets were icy. I quickly moved through the breakfast area so that others awaiting tables could take mine. As I finished my coffee in the lobby, I sat beside what I took to be two parents and their son. They were speaking Swedish animatedly and laughing heartily. Then I heard the twenty-something son sing, “Lay lady lay.” I could not resist. It’s the Super Bowl, Academy Awards, and Downton Abbey all rolled into one. December 10, the day Alfred Nobel’s died, is always the culmination of the week’s activities. It’s the Super Bowl, Academy Awards, and Downton Abbey all rolled into one. The most widely watched program in Sweden, it is a celebration of genius across academic and artistic disciplines. Only family births, weddings, graduations, and meals have topped it in my life. On Nobel Eve, with snow in the forecast and the identity of who will be delivering Dylan’s address at 10:18 p..m. the next night still a mystery, I met Ann and Pelle at MIVA Gallery for champagne, olives, canapés, and a viewing of fifteen assorted Dylan prints as well as Ed Finell’s photographs of Dylan at the Los Angeles Forum when he went on tour with the Band. I took a cab across Lake Malaren to see what I could find out and if I could meet the legend. I also had visions of Patti Smith, who Young recorded when she was twenty, hanging out there or in a coffee shop around the corner. The news of the morning was that the New York Times contained a story about Israel “Izzy” Goodman Young—founder of the New York Folk Center at 110 MacDougal Street in Greenwich Village in 1957, promoter of Dylan’s first concert at Carnegie Hall (November 4, 1961; $2 a ticket; 50 in attendance), and resident of Stockholm for the past thirty five years. The story’s lead photograph showed him standing in front of a green door at his Folklore Centrum in the Sodermalm neighborhood. Perhaps you know it as the downscale neighborhood of the fictional Lisbeth Salander, the girl with the dragon tattoo. Top 10 Stockholm describes it as “formerly a rough working-class district…blossoming into the area to see and be seen in.” I took a cab across Lake Malaren to see what I could find out and if I could meet the legend. I also had visions of Patti Smith, who Young recorded when she was twenty, hanging out there or in a coffee shop around the corner. By the end of the day, we had done justice to three of Stockholm’s top ten in one of my guidebooks. And we did so effortlessly, all the while blending equal parts of Dylan references, city and Nobel history, and our back pages. Today, guided by my new comerado Pelle Ekman, I went from Ostermalm, the tony neighborhood in which I’m happily staying, to Djurgarden, home to only 800 permanent residents and part of the Stockholm National City Park. To paraphrase Dylan’s “Not Dark Yet,” we followed the river and got to the sea. Walking along the Djurgardsbrunnsviken (“where Bob walked thirty years ago in his white hoodie,” Pelle told me before pulling up the picture on his phone), I heard a bit about the slow train of development that is making Stockholm less affordable for everyday people. We talked about a controversial new proposal by the Nobel Foundation to build a new center and the day’s rumor regarding who might be delivering Dylan’s address on Saturday night. I figured the line captured a bit of the feeling of my morning in the MIVA Gallery and my afternoon around and at the Nobel Museum. For those of you not totally up on your “Visions of Johanna,” the beginning of the line that lends itself to today’s title is Inside the museums. Walking home past a Christmas lights display in Berzelli Park, a display that I have taken to thinking of as The Urban Reindeer of Moonrise Kingdom, I figured the line captured a bit of the feeling of my morning in the MIVA Gallery and my afternoon around and at the Nobel Museum. I got out of the elevator and knocked on the door of my director, Ann Victorin, and her husband Ekman Pelle a few minutes before six. Ann was slicing avocadoes for the salad and Pelle returned to roasting pine nuts for the sauce. Ann and I first met on October 25 when she and her cinematographer, Sven Visen, came from Stockholm’s SVT (the Swedish equivalent of PBS) to make the official documentary about Dylan’s Prize for Literature. Ann, a Scorpio sphinx and multilingual lover of all things literary, had made the previous fifteen documentaries and worked to varying degrees with all the Literature Laureates. She and Sven visited Sir Christopher Ricks, a Boston University professor, and me before heading toward Dylan’s shows in Shreveport and Baton Rouge. I had been invited to their apartment, and shortly would be joined by seven members of the SVT, journalistic, and Victorin-Pelle family, for the premiere of Ann’s movie on SVT2. The Swedish Salvation Army, four pieces strong, played Christmas carols—“The First Noel,” “O Come, All Ye Faithful”–as my fellow bundled ones and I dropped coins into a cup. I have never been that fond of Christmas carols; but it was all so cinematic, good natured, and perfect that I felt myself getting misty—and the tears freezing on my rosy cheeks. Today’s title is a line from Bob Dylan’s “Talkin’ World War III Blues” and one delivered with perfect understated irony as he discusses his dream of the world after a nuclear war with his psychiatrist. Yes, returning readers, Dylan, irony, and dreams again. Before I begin, I want to acknowledge that there is far too much to share in my self-allotted space. Therefore, I will try to get you to about 6:00 p.m., when I arrived for a dinner party with the creative folks behind the official Swedish documentary about Dylan and his Nobel. The dinner party report—which I’m thinking about calling “December 5, 2016, Part Two—Laughin’ and singin’ till the early hours of the morn”—will come your way a bit later. The sneak preview is that the documentary is terrific (in fact, the best thirty minutes into who Dylan is and why he won the Nobel Prize yet to be found; emails to the director from the Swedish Queen’s press secretary and a member of Abba have already come in to that effect) and that I was indeed at one of those tables of joy I referred to in my introduction. I woke up feeling that the song for which Dylan won his Academy Award in 2001 and with which he has been opening most of his recent shows might be speaking to us at this particular moment on some even more resonant level. Put bluntly, I woke up hoping that it means Dylan might sneak into town, join his fellow Laureates, and say don’t get up, fellows/I’m just passing through. I flew out of Austin Bergstrom International Saturday afternoon in the dark on a Boeing 787 to London, watched the sun rise over Ireland, and watched it set beautifully over Stockholm as I landed today at 16:30 local time. In between those solar events, I talked with and listened to some terrific fellow travelers, had a dream that may yet have significance, and set up shop for Nobel Week in Alfred Nobel’s town. First the dream because it gave rise to today’s title. In the next few weeks I will be writing about my trip to Stockholm and the Nobel Prize ceremonies where Bob Dylan, whose art has been the subject of much of my work and joy, probably will not be appearing to receive his award. That will not, however, stop me from sharing a few illustrated posts about what I find and learn there. There were several contenders for this blog’s title: Gainesing the World, Under the Big Tent at the Table of Joy, Under the Big Tent, The Table of Joy, All the Way to Heaven, Dancing Towards Stockholm, Dave Gaines’ 115th Dream, Many Things Considered, Ring Them Bells, and The Dylan Diaries among them. As I kicked each one around with those who have sailed with me, I started sounding like Woody Allen at the beginning of Manhattan, rejecting one after another as “too clever” or “too obscure” or “too…well, not quite it.” I also kept returning to two guiding principles for my final selection: less is more and everyone has their reasons.